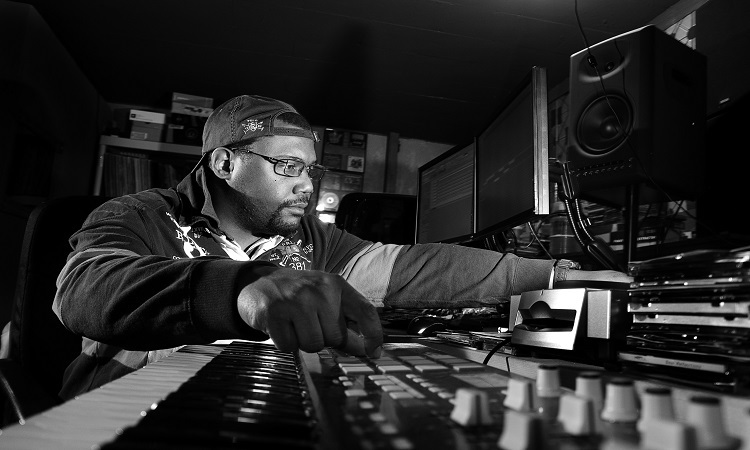 Producer and CoalMine Music founder Grant Parks has worked with some of the most legendary names in the history of Hip Hop. His catalogue includes tracks featuring verses from KRS-One, Sadat X, Rhymefest, Crucial Conflict, WC, and more. The Windy City native began making waves in 2008 when he received “Producer of the Year” nominations from the Chicago Truth Awards and Fakeshoredrive.com. After releasing several compilation albums over the last 5 years, Parks is back with his latest free project Drilling Season Vol. 1. The 12-track LP includes appearances from fellow Chi-town artists Malik Yusef and GLC and serves as a display of Parks’ production range. DZI: The Voice interviewed Grant Parks to discuss Drilling Season, his most memorable studio sessions, the violence in his hometown, and more. Grant Parks: When I was able to put music together as a form of expression. YK: What first led you to take an interest in making music? GP: Well, I played various instruments such as piano and sax. Then as I got older, I became interested in composing them all to create my own sound. Studios and production got expensive so my dad helped me get my first drum machine, a MPC 3000 in 1994. It took off from there. YK: You were trained in music theory and sound engineering. Do you think getting a formal music education gives you an advantage as a producer over someone who is self-taught? GP: I think it does. It helps a lot and is an advantage. 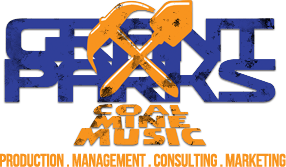 YK: What inspired you and Terron Coleman to start CoalMine Music? Once I started getting better at my craft, we wanted the music to go further than our basement studio so we got serious with it and formed the business. We also wanted to incorporate ourselves into different avenues of this business and CoalMine Music has allowed that to happen, ie: management, marketing, etc. 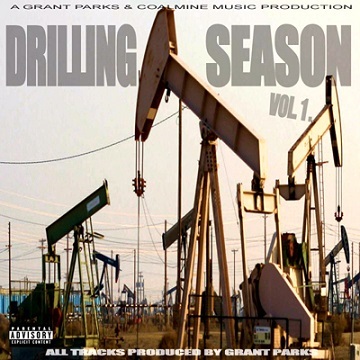 YK: Your latest mixtape Drilling Season Vol. 1 incorporates Hip Hop elements associated with different cities like Chicago, L.A., and Atlanta. Why did you decide to use various regional sounds for the project? GP: I like to mix it up, make the music melodic with what is current today. YK: I noticed you added a vocal sample from House of Cards on the “Power or Money” skit. What other T.V. shows are your must watched programs? GP: Boardwalk Empire and Breaking Bad [which the season just recently ended]. YK: How did you first connect with G.O.O.D. 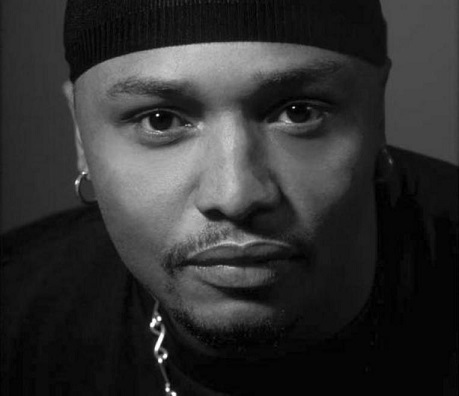 Music’s Malik Yusef? GP: Malik is from the crib and has always supported my music. My partner, Joanne, has worked with him on a few projects over the years, and we got in the studio together and made it happen. YK: You’ve had the chance to work with some well established artists in the industry. What are some of your most memorable studio moments? GP: Being in the lab with KRS-One was epic. Working with Sadat X of Brand Nubian, we always come up with great songs. When Treach and Vinny of Naughty by Nature came through. YK: Which emcees that you haven’t worked with yet would you like to hear over one of your tracks? GP: Jay Z, Rick Ross, Kendrick Lamar, Young Jeezy, 2 Chainz and Future – just to name a few. YK: With the sale of music consistently declining what do you think artists and producers can do in order to make a living in today’s market? GP: I would say step up your branding. You can market your brand in areas other than music. YK: Being from Chicago what’s your take on the ongoing violence happening there and the media’s coverage of it? GP: It’s really sad that there are lives being lost for absolutely no reason. The media covers it more I think because the President is from here, or that’s at least how it seems. The violence is actually down now and was worse in 2008. KRS-One came here and asked me to produce a record for his Stop The Violence Organization which included Twista, Syleena Johnson, Crucial Conflict, along with upcoming Chicago artists to help spread the word. Every bit helps. YK: If you could only listen to 5 albums by a Chicago rapper for the rest of your life which albums would you choose? GP: Common’s Resurrection, Crucial Conflict’s The Final Tic, Kanye West’s College Dropout, Twista’s Adrenaline Rush, and No I.D.’s Except Your Own & Be Yourself (The Black Album). YK: What’s next for Grant Parks? GP: Film/TV and album production placements… stay tuned.